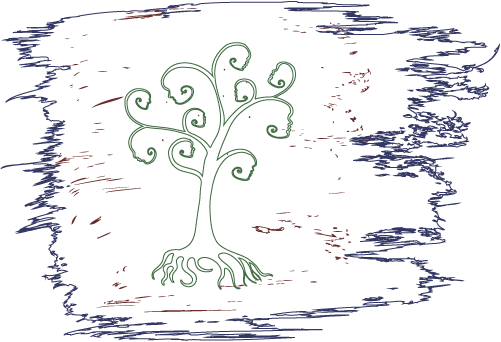 Don't Rely On Someone Else's Online Family Tree for the Truth About Your Family History! Get The Facts. Aren't you intrigued to learn about your origin? Where your ancestors came from, lived and migrated to? For some people, answer about family lineage holds significance because they reveal so much about a person characteristics and identity. Heritage can get many of those answers for you. If you just want to research a little of your family history, then we are here. If you want to build a family tree that spans 6 generations, the genealogy team at Heritage is ready. Our Houston Professional Genealogist Team Is Both Dedicated As Well As Relentless. First, we will ask you to fill out a short questionnaire so we may gather enough information to get started. Once we have the information, we will discuss options and different "plans of attack" for your project. Our team is ridiculously tenacious about family history and research, so you can rest assured that you will get the best possible result. If, for some reason, we feel your project may be extremely difficult or even impossible, we will tell you up front. You will ALWAYS be given an estimated number of hours before your project launches. A detailed report in both electronic and paper forms. A detailed list of documents (sources) we used for information. Actual printouts of the historical records we find (birth certificates, death certificates, census and church records, military records, etc.) A deluxe binder for all of your material. Plenty of family charts, reports, and other graphs will be included. A follow-up consultation to ensure you understand everything you've been given. If you've also brought antique images for repair, the best photo restoration in Houston will have brought your pictures back to life. You will NEVER be sold professional genealogist services if we feel your project is impossible. If you are interested in finding out more about your family tree (Genealogy), then you have come to the right place. If you're interested in both photo restoration -and- Genealogy, then ask about the "PhotoAncestry" project. Whatever your reason might be, we can help! A personal genealogist will be 100% assigned to your case. In fact, we don't accept new work if it might take a genealogist away from someone's project. Whether you simply need to find out more about your grandparents or you want to discover your entire known family lineage, we will do everything we can to ensure you find the information you need. Of course, rates vary widely depending on the type of research requested and the time period. It is significantly more difficult to research individuals from the 1700s when compared with the 1800s. This is why it is so important that you contact us via the form on our website. We will get back to you within 24 hours, and we can discuss your case in detail. Do you really know where your ancestors are from, or is your knowledge based more upon "family lore? You might know the full names of your great grandparents, but how much do you know about your great-great grandparents and beyond? Do you ever wonder how your family ended up where they are now? Do you know where all of your relatives are buried? Were you adopted as a child and often wondered where your biological family came from? Do you want to know more than when your ancestors were born and when they died? How about what they did for a living? What kind of property did they own? Did they serve in the military? Perhaps one of your ancestors qualifies you for membership in Sons or Daughters of the American Revolution! 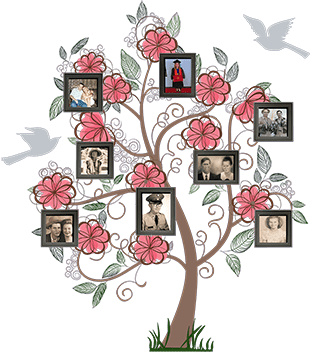 If you are someone looking to find and put together missing pieces of your family tree, you need professional genealogy research services. Here at Heritage Photo Restoration And Genealogy, our experts are committed to help you solve those family tree and family history puzzles. Using past records, census data, vital statistical records and more, we provide all the information you need to trace and explore your family line in detail. What motivates folks to trace their ancestry? Your Ancestors Are Waiting For You. Don't wait another day. Get the help you need with your genealogical research at an affordable price.